$8,728 a year. No vacations. No retirement savings. 23 hours a week and up. 23 hours up to 41 hours a week are spent on providing care depending on income. Being a long-distance caregiver is incredibly stressful and frustrating. It’s difficult locating and vetting caregivers from a distance and the National Institute on Aging says there are approximately 7 million people in the United States trying to carry out this daunting task. But there is help available. The Traxx Mobility Systems Titan 500 is a patient lift system for the home. The electric motor is rated to lift up to 500 pounds. 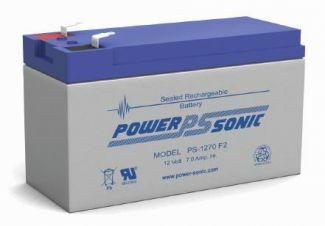 Two rechargeable 12V sealed lead acid batteries are used to power the system. Lead Acid batteries are a time-tested design and offer lower costs than newer battery technologies like Lithium Ion. However, their advantages in cost and storage can be offset by their size and weight. This post is designed to act as a guide to the differences between the two types of batteries and the reasons why we chose to used sealed lead acid batteries in our patient lift motor. Lithium Ion batteries are a newer technology. They are a different type of electrochemical battery that requires separate safety considerations. There is a danger of explosion if moisture corrodes the cell. Volatility must be closely managed and addressed. Lead Acid batteries pose different risks, which have been addressed in the design of the sealed types. Charging limits or valves keep gasses from building up, which could become explosive. Acid is in a gel state which prevents it from leaking should it be damaged. It is very important to use the correct charger for the batteries as they provided safety features to protect you and the battery. Li-Ion batteries are idea for digital devices as they are good at providing a constant feed of energy. However, the charge decays quickly when not in use. Once again, fine for your phone that is constantly working, but not so good for a patient lift if you have to continually charge it. Sealed Lead Acid batteries prefer a “shallow” or short discharge, once again, ideal for a patient lift that may run only a few times a day and be idle the rest. Sealed Lead Acid batteries work better in a patient lift as they are much more powerful and they hold a charge much longer than a Li-Ion battery. They retain their charge four times the amount of a Ni-Cd battery. Some of the downsides of Sealed Lead Acid (SLA) batteries is the longer charge times, the larger size and weight and the fact they must be stored in a charged state when not in use for longer periods of time. The latest lead acid batteries have addressed safety issues over the years through technology. To reiterate, Lithium Ion batteries are expensive, can be volatile, do not hold a charge over long periods of time and are ideal in situations where smaller size and weight are required. Sealed Lead Acid batteries are less expensive, are relatively safe, hold a charge for longer periods of time and are best for situations where more power is needed and size and weight are less of an issue. We hope this has shed some light on the batteries we use in our patient lift system. We have weighed the issues of power and safety and chose the best battery for the application. Remember to charge your batteries weekly under normal operating conditions, only use the charger that ships with the unit and keep the motor unit clean and dry. 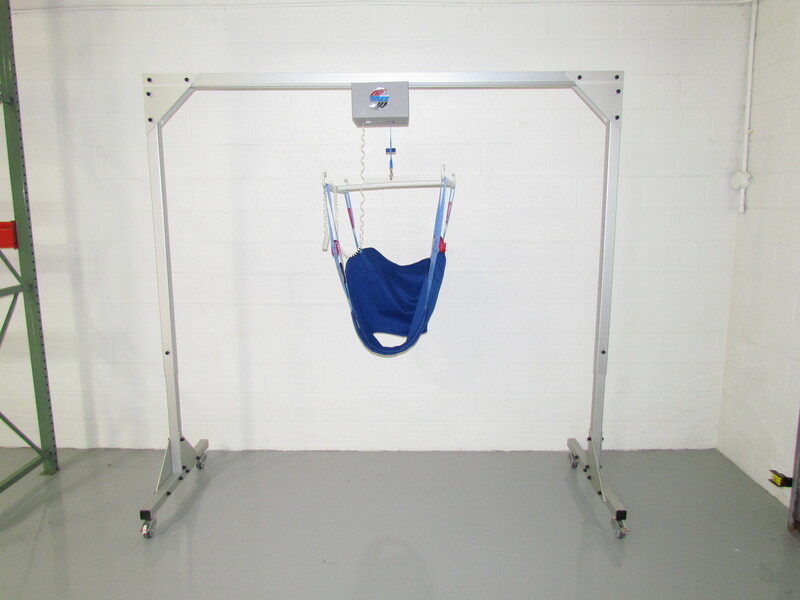 For more information on our patient lift system, visit our website, watch our YouTube channel, find us on Facebook or follow us on Twitter. 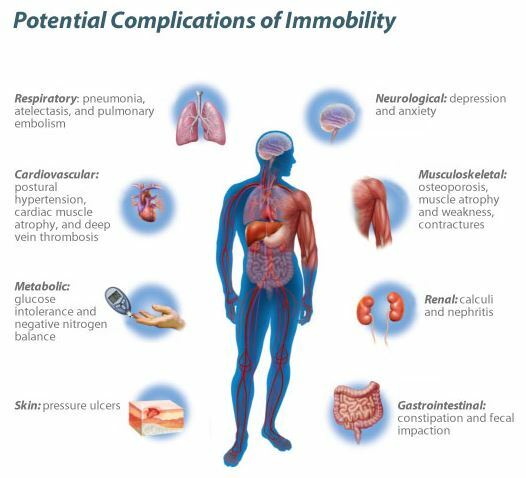 For those patients with limited mobility, getting out of bed is crucial to maintaining their health. Above and beyond the obvious mental health issues with staying in bed all day, the physical aspects of inactivity and extended periods of time in a prone position can have catastrophic effects on a patient’s health. The most visually apparent complication is pressure ulcers on the patients skin. Other problems arise with the musculoskeletal system with muscle atrophy and weakened bones through non-use. Our gastrointestinal tract relies on gravity to move waste through our system. Staying in bed hinders that process too. 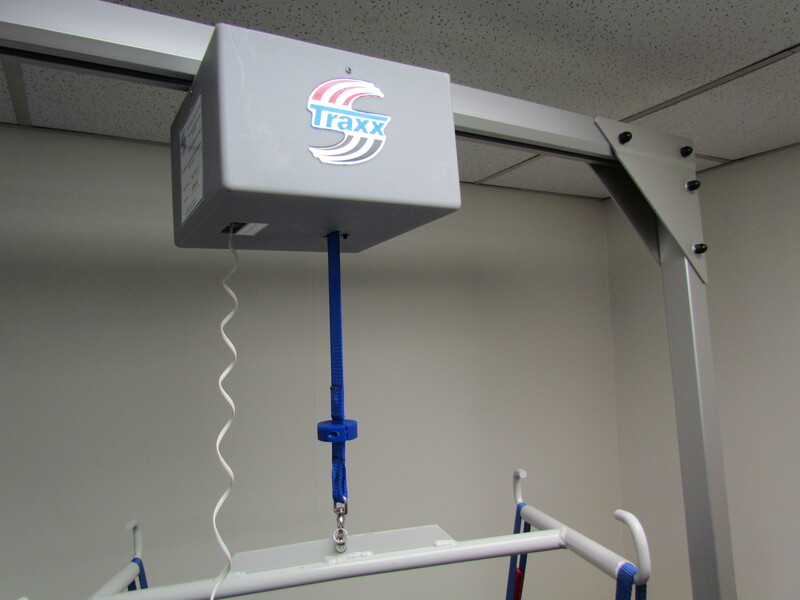 Traxx Mobility Systems Titan 500 Overhead Patient Lifts are an extremely affordable solution for an in home lift that only requires one caregiver for effortless patient transfer. 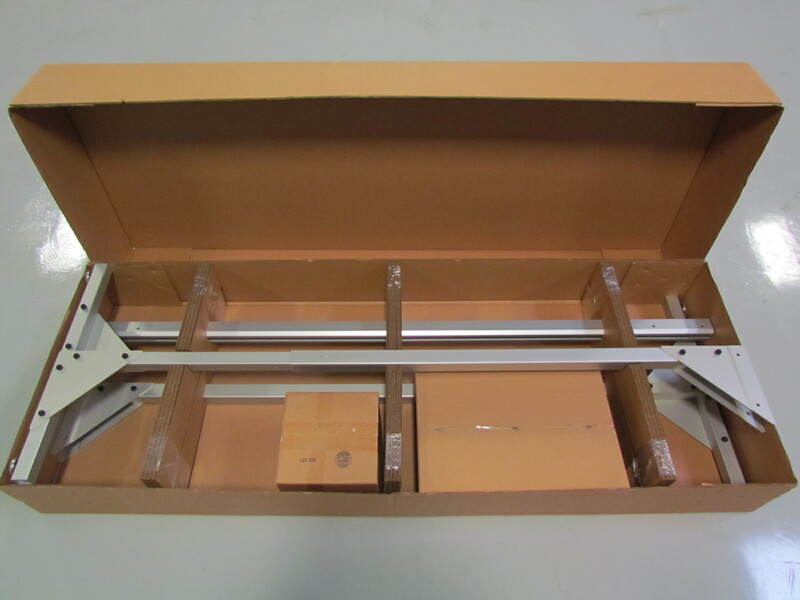 A hand-held remote operates the overhead track lift motor that is rated up to 500 pounds. A gentle push on the patient moves the wheeled motor unit across the track to allow the patient to be lowered into a wheelchair or commode chair. The Titan 500 Overhead Patient Lift ships directly to your home and assembles in minutes. The freestanding aluminum frame does not attach to the home and the modular design allows it to be disassembled and moved to a cottage, second home or assisted living facility. Rechargeable batteries allow the unit to run even when the power is out. Visit our website, find us on Facebook, follow us on Twitter and watch our YouTube channel to see our patient lifts in action. 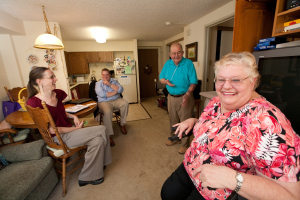 A senior loved one is living with a chronic illness or Alzheimer’s disease. As time passes, family members provide a greater amount of transportation, healthcare management and hands-on medical and personal care as their loved one’s care needs grow. Don’t make life any tougher, use mobility aids to help you get up and out. For many older adults, losing their independence is extremely upsetting. As we age, many activities we did with ease when younger become more difficult and, potentially, dangerous. Something as simple as walking can be a significant challenge. Difficulty walking often leads to falls—2.3 million adults 65 years and older have falls—which leads to injuries and hospitalizations. Falls can be caus ed by medication side-effects, past injuries, loss of balance and other issues. One way to lessen the chance of falls is to use a cane or walker. The inherent problem with using either, but especially a walker, is the loss of independence. Nevertheless, it’s important for caregivers and healthcare providers to discuss the advantages of these mobility aids and gently encourage their use.